Son Ye Jin and Lee Min Ki‘s romantic-horror-comedy movie Chilling Romance is premiering in December, just in time for the holiday season. 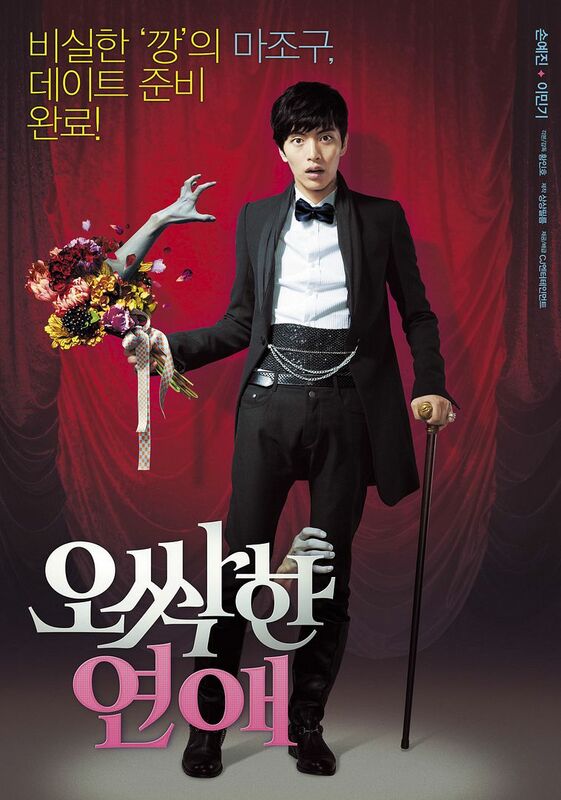 The movie genuinely looks good in every way – mixing the horror dead people scares with a sweet romance plus Lee Min Ki playing a total scaredy cat. I love it! Son Ye Jin just shines on the big screen, and really all her projects that I’ve loved have been her movies. Perhaps television really isn’t her medium. I don’t recall seeing Lee Min Ki ever sporting such a handsome and charming romantic leading man look, and I have a feeling the chemistry will be electric. I envy the folks in South Korea who can watch this soon. Check out the second trailer below, but beware of the hidden scares. thanks for the new trailer sis! i really love lee min ki! I hope CGV in LA would screen the movie! I’ll be waiting for it. And I agree. I envy people who can watch this in South Korea when it gets released. oooh lee hyun jin is in this? awesome. That was my favorite part in the last trailer too. He’s so adorable. He’s such a manly looking guy and when he plays such a scaredy cat, it totally makes my day! I am such a scaredy cat, but I am willing to check this out, if not the least to watch Lee Min Ki being scared out of his wits. keh, keh, keh. Wow, the trailer looks so good. I love Lee Mun Ki also so can’t wait to get my hands on this. Koala – I agree, SYJ is such a fantastic actress and I feel like she gets the short end of the stick in dramas. But that creepy look she gives with the quirky smile is AMAZING.